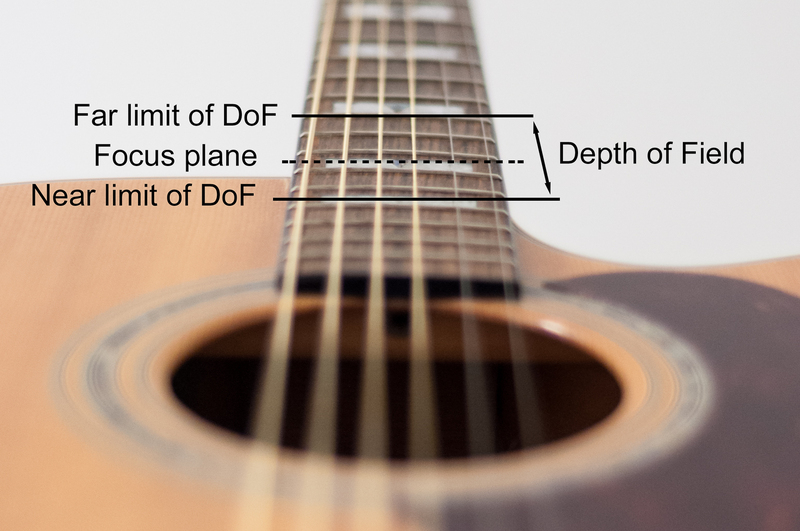 – It is possible to estimate the DoF at a glance. A photograph is exactly sharp only on the focus plane, but it is still reasonably sharp within a certain distance around the focus plane. This distance defines the Depth of Field. The graph below is plotted from the formula of DoF, it gives an idea of how the near and far limits of DoF varies with the distance to the subject. 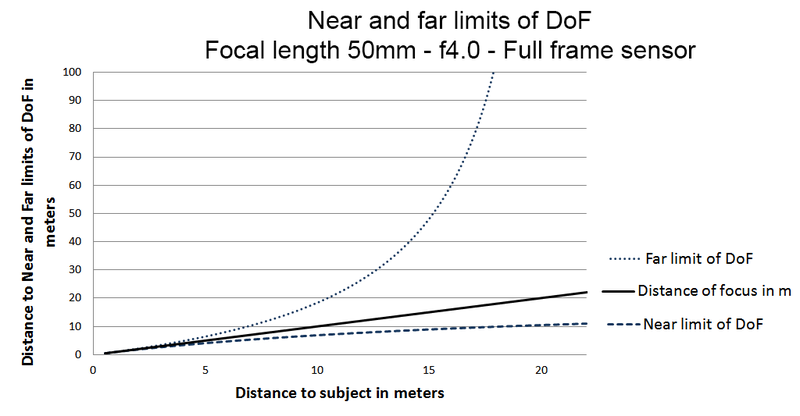 It puts in evidence that for a given aperture the DoF can be extremely small when focusing very close, or extremely large or even infinite when focusing far away. 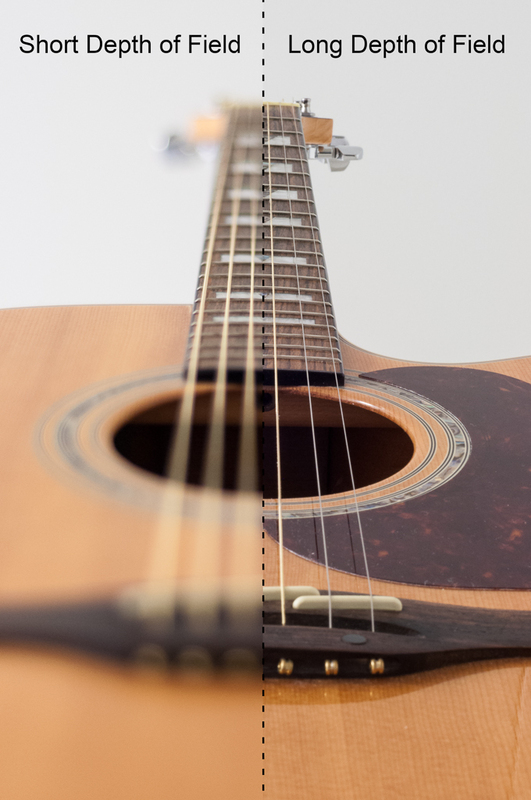 It is also visible that DoF is not 1/3 in the front and 2/3 behind. It varies from 1/2 behind to infinity behind, the only certainty is that there is always more DoF behind than in front of the focus plane. Now to further understand the DoF, we need to clarify what is an ”acceptable sharpness” ? This will be the topic of the next article. Very well written article indeed. I am looking forward to the next one in the series. For someone like me, who seems to stop enjoying the process of making pictures just at the thought of having to consider all the technical details behind the shot, your blog is a ray of light. Awesome series. Concise, focused information and crystal clear illustrations to help meduim level photographers reach the next step.